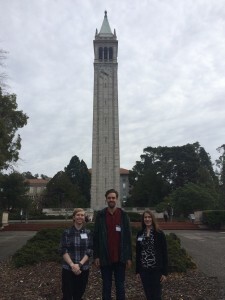 McGill linguists are returning this week from the 43rd annual meeting of the Berkeley Linguistics Society. Lydia Felice and Sarah Mihuc presented posters based on their in-progress McGill honours theses. Justin Royer, incoming McGill PhD student and Chuj Lab member, presented a poster based on his recent Concordia BA thesis. Published by McLing on February 6, 2017 at 1:50 am under Conferences, Undergraduate news.